Everyone loves flowers, right? Lately I've become more and more obsessed with them. 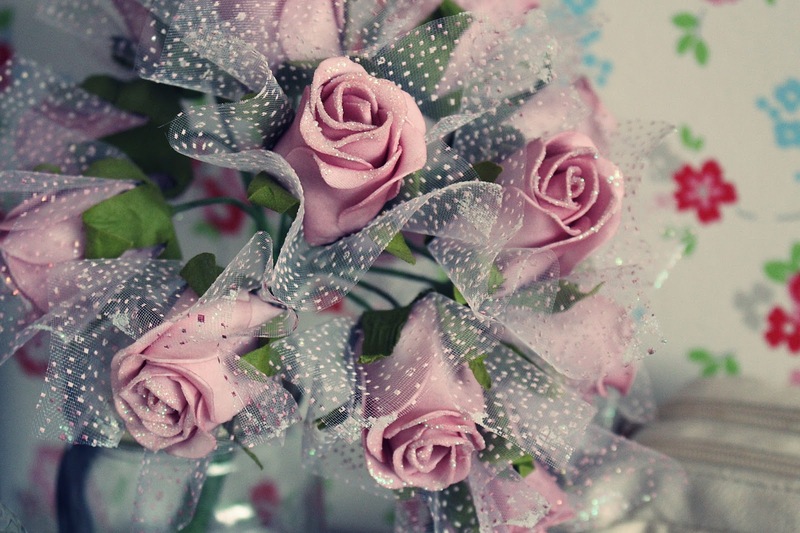 I adore my artificial roses from Dunelm Mill which are covered in glitter and prettiness. They're meant to be for weddings I think but I think they're perfect for any aspiring princesses like myself! They were really cheap too, and totally worth it! I wish I had the money/patience to buy real flowers on a regular basis but I find artificial ones so much easier to deal with! 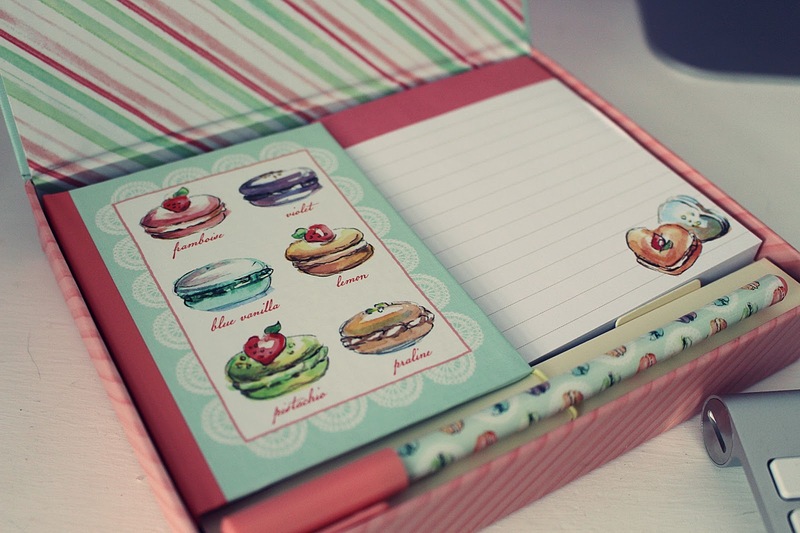 Okay, so I think you all know I adore myself some cute stationery, and I couldn't resist showing you my latest love, in the form of this macaron-themed desk set complete with notepad, notebook and even a macaron-covered pen. It's currently sitting pride-of-place on my desk and is perfect for jotting down notes and writing to-do lists. I looooove it. 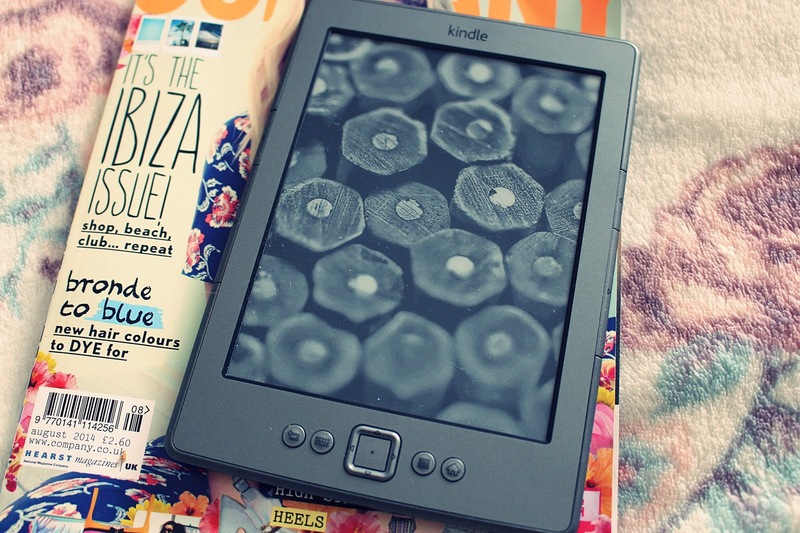 I received my Kindle a few years ago as a Christmas present, and I regret to say I haven't used it as much as I should have. I adore reading, but I tend to prefer reading from a good old-fashioned book and I also feel more inclined to buy from bookshops as they tend to be cheaper! However, Amazon do occasionally have some amazing deals on their Kindle books so I've been making more of an effort to buy from there. I recently got my hands on 'Gone Girl' for £1.99 and I read it in a day - it's SO good. I love that I don't have to lug a load of books around when I've got my Kindle - it fits tonnes on there and doesn't weigh much at all. I can definitely see a love affair blooming with this device, at long last! It might be the height of summer, but that doesn't mean I have to neglect my onesie collection, right? I was sent a brand spanking new onesie from OnePiece a few weeks ago and I love it SO much. It's a seriously bright pink and is made of lighter material than my other one (see post here) so much more suited to summertime. I couldn't resist pairing it with my beloved Candy Yum Yum lipstick for this pic and I think it's pretty much the perfect match! 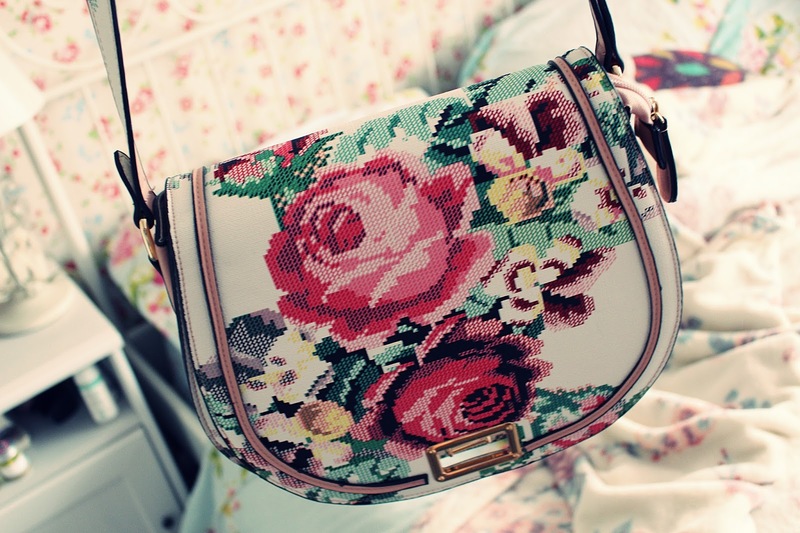 I think I've found my perfect bag for summer - in the form of this beauty from StyleEdit.co.uk. I love everything about it - the gorgeous floral design, the shape, the colours - and it's the perfect size as well. I've been wearing it constantly over the past few days and I'm sure it'll feature in an outfit post soon!